Every time $500 is spent on valid Eaton products (Eaton Power Distribution, Eaton Circuit Breakers, Eaton Bussmann series, Eaton Crouse-Hinds Series), you’ll automatically receive one entry into Westburne’s Ultimate Sports Vacation contest. There are four (4) Grand Prizes to be won, each including a maximum credit of $5,000 to cover your ultimate sports vacation. All winners will have the freedom to customize their trip! Limit of one Grand Prize per entrant. One Grand Prize will be awarded per region or division of Westburne: West (British Columbia, Alberta, and Northwest Territories), Midwest (Saskatchewan, Manitoba, Northwest Ontario), Ontario, Québec and New Brunswick. Spend $1,000 on Eaton product in a week and get a $10 McDonalds gift card! Click on the link below to claim your gift card. While supplies last. Applies to Westburne-stocked products, available in-store or online. 2,000 McDonalds gift cards are available to be won. A limit of three (3) gift cards per week, per entrant. Mathematical skill-testing question required. No purchase necessary. 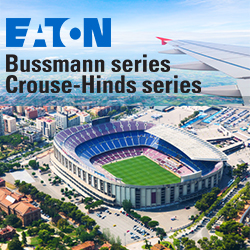 Eaton’s B-Line series, Eaton Industrial Controls, Eaton Power Quality, and Eaton Wiring Devices products are exempt from Westburne’s Ultimate Sports Vacation contest. This offer is valid from May 22nd to July 31st, 2018. Eligible customers can claim their McDonald’s gift card until August 30th, 2018. Click here for full campaign rules and regulation.